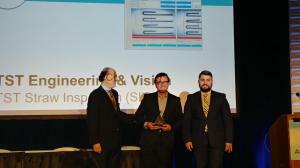 CHICAGO , IL, USA, April 12, 2019 /EINPresswire.com/ -- On April 8, 2019, TST Engineering & Vision was presented with a bronze-level award in the Vision Systems at the Fifth Annual Vision Systems Design Innovators Awards presentation, held during Automate in Chicago, IL. TST Straw Inspection (TST SI) was recognized by a panel of esteemed experts from system integrator and end-user companies. 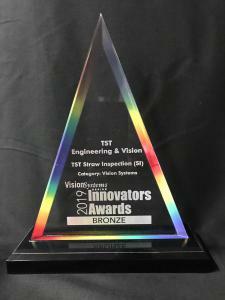 “We are proud to be awarded by Vision Systems Design 2019 Innovators Awards. Since 1995, TST Engineering and Vision provides innovative industrial vision systems, engineering and consulting expertise to ensure it meets and... above all... unleashes the untapped production potential of our growing customer base. In a fast-changing world, this award is a validation of all our work and dedication to our customers." - João Paes de Vasconcelos, Managing Partner of TST Engineering & Vision (https://www.tstvision.com).